[Warning. Shameless plug!] 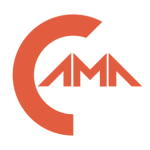 I’ll be speaking to the Columbus chapter of the American Marketing Association. Please join me at 7:30 am, February 20, 2014 at the Columbus Main Library. Your CEO comes to you and says, “We need a mobile app. Go build one!” What do you do? With all the resources that are at the disposal of large, brick-and-mortar corporations, developing a fun, simple, user-friendly mobile app with clear business objectives can be a tremendous challenge. This presentation would like to humorously (yet respectfully) shed light on the five common pitfalls that plague a corporate mobile app’s development – and how to avoid them. Intended mainly for the poor soul tasked to lead such an endeavor in his/her company, but all are welcome since misery does love company. Pharrell’s HAPPY video is the best music video of the 21st century. I know – that’s quite a bold statement. I lived through the birth of the music video, MTV, and of course, Thriller. When I learned of Pharrell’s project, the world’s first 24-hour music video, I was “meh” – until I saw the website for myself. Forget about the fact that just post-production of a 24-hour final cut is an enormous and costly task; forget about the logistics of finding people (over 200 extras and celebrities) at all hours of the day to shoot; forget about the risk the muscian and studio took on this crazy project. Just focus on the concept: Here’s this vast uncharted mountain of content. 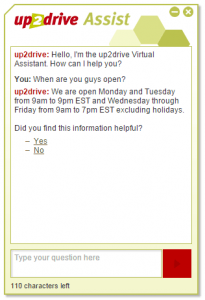 The web site (24hoursofhappy.com) starts you off at your current location’s time, but allows you to scroll back and forth to any other spot in the video. This is your chance to find some gold in that mountain. You can discover a silly dance move that a random extra is doing or find out what a specific celebrity is wearing. It’s the discovery and sharing that makes this so perfect for our social media world: unearth something unique and earn social street-cred, or the “I’m cool because I found it first” syndrome. Think of all the strange things people have found on Google Earth or Street View. This is another example of a large uncharted mountain of content. 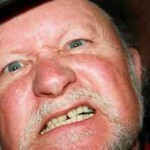 People can search every square foot of the Earth for something strange or funny to share. As it relates to HAPPY, here’s my discover of three well dressed elderly ladies getting their groove on at 11:36 in the morning. I’m sure my friends will love it. At least I really hope so. Companies today face a perfect storm as it relates to maintaining employee satisfaction. First, you have fast growing, profit-focused companies with tighter budgets that immediately nix items deemed “non-critical”. Second, you have a young workforce that appears, at first glance, to never be satisfied with any attempt of recognition by their employer. They feel their work isn’t valued or acknowledged. This is interpreted by the HR department as, “We need more opportunities of recognition and more awards.” But then to do so requires money which was addressed takes us one full circle. My feeling is that the young workforce doesn’t require as much the CEO giving them a pat on the back for showing up for work on time. I feel that such employees simply need peer recognition for daily achievements, much the same way Facebook does this for their personal lives. My team worked with a Canadian vendor, TemboSocial, who thinks the same way. 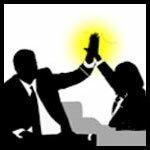 Together we launched the “HiFIVE” platform within our company’s intranet. It acts much the same way as Facebook – but you can ONLY post topics of praise. As sender creates a HiFIVE on the intranet, selects the recipient(s), selects a picture that best describes their action, and includes anyone to CC. After hitting submit, the HiFIVE is posted to the intranet where others can “like” or comment. In a very short time, thousands of HiFIVEs were developed and shared. Looking through this vast repository of praise, you can really see how much impact these daily achievements are to yearly goals. Employees also are informed of problems in other areas and have offered help through this platform. “Connected devices” is a slightly more practical description of what we would characterize as a “Star Trek” future. 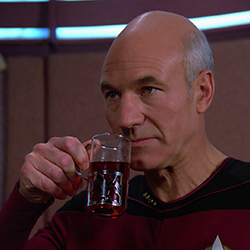 When Captain Picard walks up to a replicator station in his ready room and demands, “Tea, earl grey, hot,” it’s only obvious to us watching that a hot mug of dark tea materializes for his enjoyment. But if you think about it in terms of our understanding of computers, so many questions arise. How did the replicator know Picard was nearby? How did the computer know how hot is “hot” for Picard? 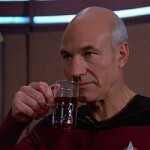 Did he have to setup his “tea preferences” when he first assumed command of the Enterprise? How did the computer know he was giving an order to the replicator to serve him tea? Perhaps he just wanted to know more about the health benefits of Earl Grey tea. Or maybe Picard was having a laugh with Riker about, “This one time how I ordered ‘tea, earl grey, hot’ and I totally spilled it on my new uniform,” (which is exactly how Picard talks). These questions may sound like a bunch of Trekkie nerds arguing over a lunch of ramen noodles and Mt. Dew, but a ton of research and product development is happening to bring our world closer to Picard’s reality. Work in this area can be called the “Internet of Everything” (IoT) or “connected devices”. The idea is that EVERYTHING – not just our laptops, tablets, and phone – will be connected wirelessly. Toasters, thermostats, cars, elevators, jewelry, clothing – all collecting sensory data and sharing it with other devices. What kind of world would that be? Some situations can be obvious (like your car talking to your phone), but others – not so much.